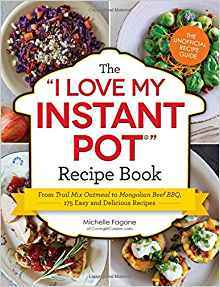 Looking for a cookbook that will inspire you to get creative and start cooking delicious recipes your body will thank you for? Look no further. 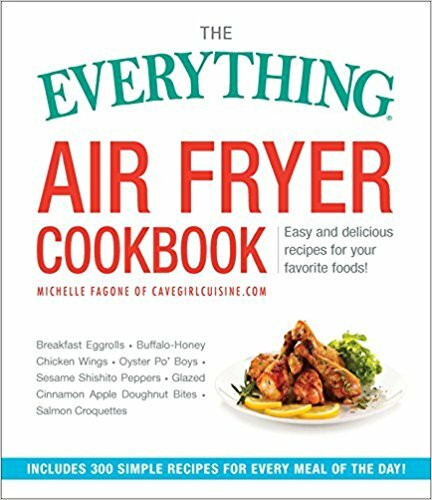 The Everything Air Fryer Cookbook teaches you all you need to know about this hot new appliance, proving that fryers can be used for so much more than French fries and onion rings. 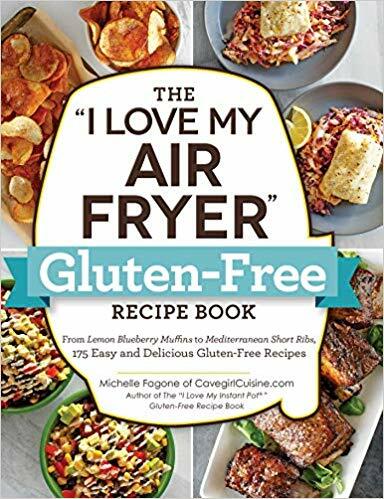 With more than 300 quick and tasty recipes—including vegetarian and vegan options, as well as classic favorites like fried pickles and jalapeño poppers—there’s an air fried meal for every taste, diet, and mood. Get Your Copy at Barnes & Noble! Get Your Copy at Indie Bound! You’ll learn how to make satisfying, whole-food dishes for every meal from breakfast to dinner, snacks to desserts. You’ll also find an easy-to-understand overview of the Instant Pot including what all those buttons on your Instant Pot® do, how to release the pressure from the Instant Pot® when your cooking time is up, how to keep your Instant Pot clean, and more. 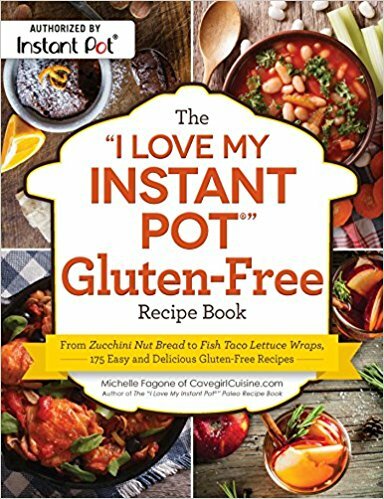 The “I Love My Instant Pot®” Gluten-Free Recipe Book is perfect for instant pot fans who follow a gluten-free diet or anyone who wants fast, delicious meals the whole family will love. 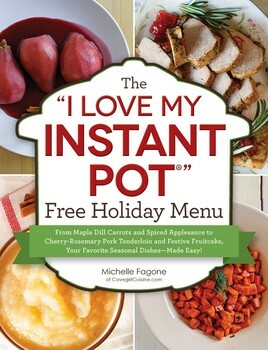 A disclaimer: The "I Love My Instant Pot®" Recipe Book is only about 25% paleo/gluten free. I was approached to write a book for “everyone,” and of course - I negotiated for a portion of the book to be paleo. 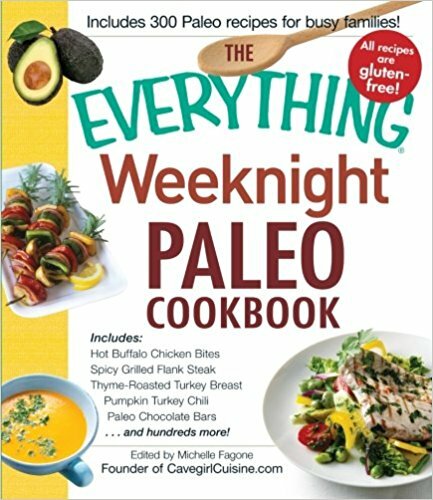 If you’re 100% paleo, this isn’t your best cookbook choice. 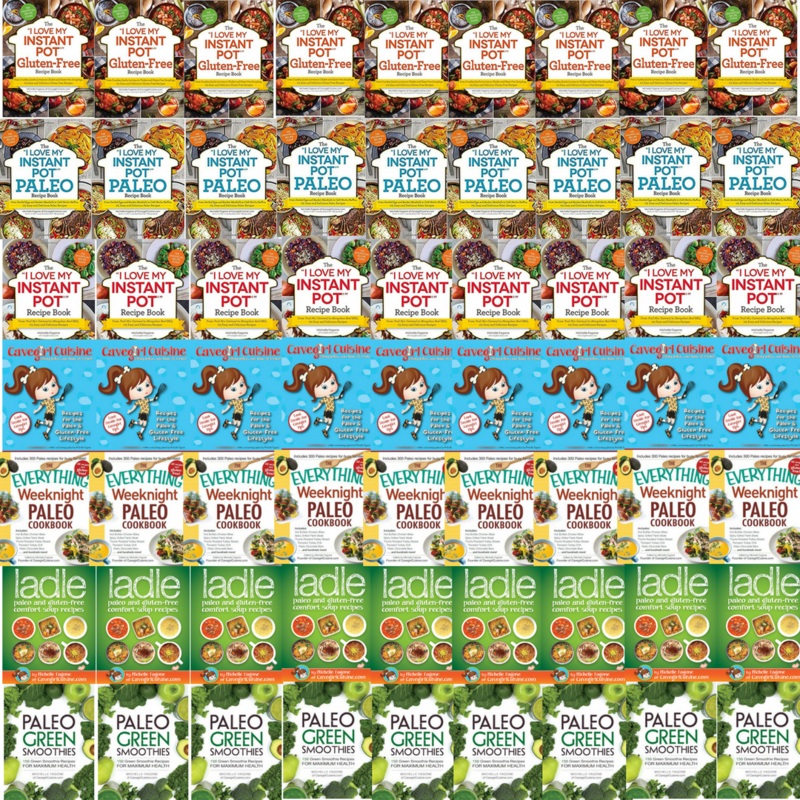 However, if you’re paleo on the weekdays but not the weekends, or maybe you’re just starting to dip your toes into the paleo pool, this may just be the perfect blend of recipes for you. By the way - on some of the recipes, although they may not be classified as “paleo” in the recipe header, I give substitution suggestions just in case you’re interested in keeping the meal paleo-friendly. 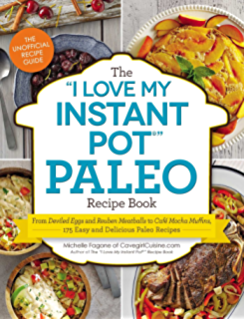 With 175 paleo recipes and multiple photographs throughout, this cookbook is a must-have for Instant Pot® fans who follow the Paleo diet and want fast, healthy, and delicious meals the whole family can enjoy. 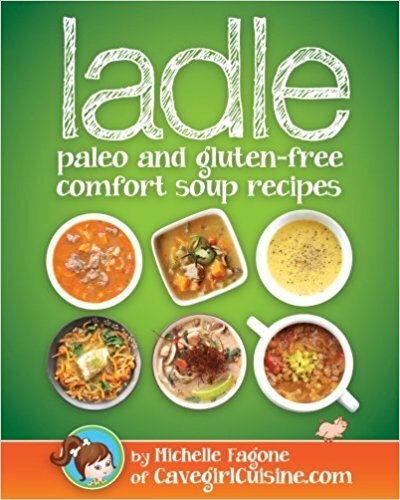 Ladle contains 50 fresh soups laid out in a beautifully full-color photographed cookbook. From simple creamy soups that can be made in 30 minutes to a variety of soups, stews, chowders and chilis, it’s got something for everyone. 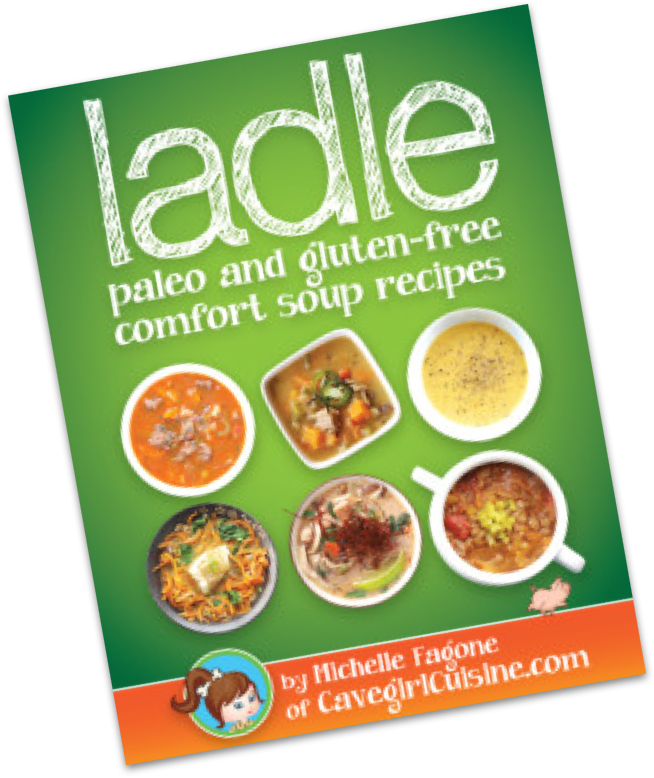 Ladle is for you if you follow a paleo/gluten-free diet, are dairy intolerant, enjoy meals made from fresh ingredients, or just love delicious soups made from natural ingredients! Enjoy the quick burst of energy that comes with delicious green smoothies - without any of the gluten, dairy, or refined sugar! Paleo Green Smoothies shows you how to create 150 green smoothie recipes that are specifically designed to complement the paleo lifestyle. Whether you're interested in adding more greens into your diet or just need an extra boost of energy after an intense workout, these recipes have got you covered. 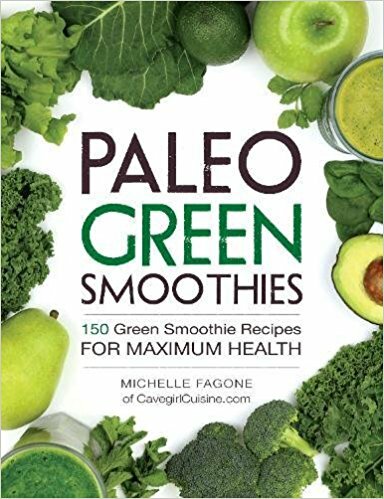 Featuring step-by-step instructions and nutritional data, each page teaches you how to blend up a variety of paleo green smoothies. This was my first cookbook published after my first 2 years of blogging. This full-color cookbook is filled with easy-to-follow recipes along with “Cavegirl Tips” that will make even the paleo doubters in your family believe! Not only will this cookbook appeal to veterans of the paleo lifestyle and foodies, but it’s simple enough for those new to paleo or those a little timid in the kitchen. 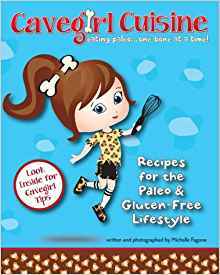 Come check out Cavegirl Cuisine's Author Page on Amazon.com! Releasing June 4th ~ Pre-order your copy today!